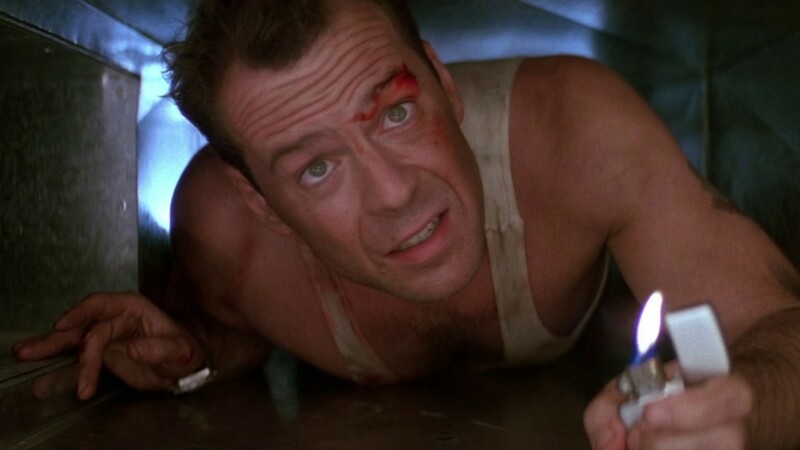 Our Next Suds and Cinema: DIE HARD! Well Yippee-ki-yay mother******s Suds and Cinema fans! We have selected the film for our next event, slated for Wednesday, Sept. 10, at the Bing Crosby Theater and it's Die Hard! Yes, the original Die Hard, not one of the four sequels. This is the one that takes place almost exclusively in a Los Angeles skyscraper and features Bruce Willis walking around barefoot while he kills terrorists/bank robbers and makes lots of puns. In case you're wondering, yes, this action flick has aged gloriously in the 26 years since its release. Even the kids these days are getting into it, like in this episode of Workaholics. And then there was an episode of The Office in which Pete recited the entire movie from memory. So do you like explosions? How about criminal masterminds who later end up in Harry Potter movies? Or the dad from Family Matters? Keen on ventilation ducts? Bloody feet? Christmas movies? Thought so — this is the movie for you. The film is slated to start at 7:30 pm, but as usual, we'll kick open the doors at 6:30 pm to get the beer going. We'll announce the featured brewery very soon, too. $4 movie, $4 beer.